We've been doing a lot of science-y stuff lately, and it's been pretty fun. 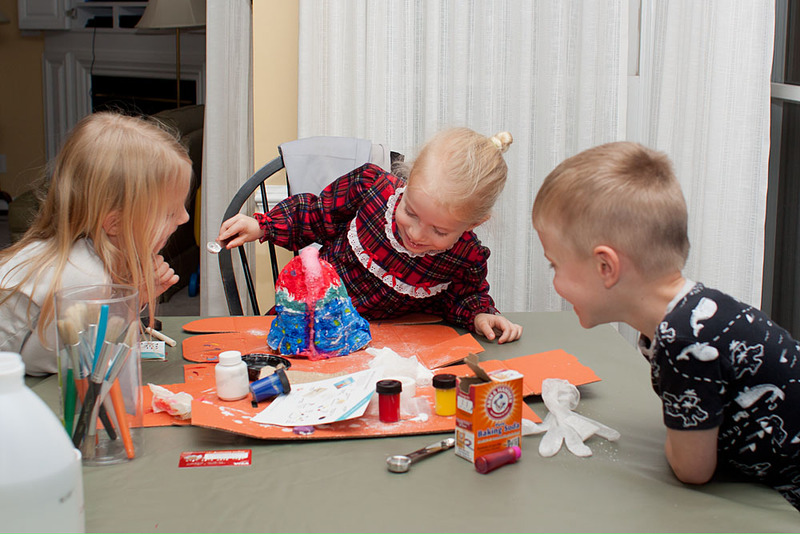 First, we made a volcano out of paper mache, painted it, and made it erupt. An oldie but a goodie! 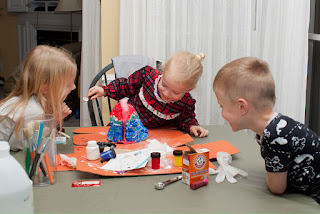 We tried it again and again, with lots of different colors. 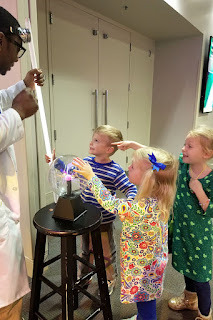 And last weekend, we did this cool experiment at the kids' science museum: conducting electricity! Sweet Pea and Little Man held hands, and the electricity went from the plasma globe right through them and lit up the light bulb Little Man was holding.